Exclusive Iron Man 3 Marvel Select Figures Soar Into the Disney Store, With New Photos! October 2013 - By now, everyone is probably enjoying their copy of Iron Man 3 on DVD or Blu-Ray, as well as enjoying their two Marvel Select action figures based on the film. You wouldn't think things could get much more enjoyable than that, but they just did! The two Disney Store-exclusive Iron Man 3 Marvel Select figures are in stores now, as well as on www.DisneyStore.com and www.MarvelStore.com! The 7-inch-scale figures of Iron Patriot and Battle Damaged Iron Man Mark 42 each come with an interchangeable unmasked head and a Hall of Armors display base, and Iron Man comes with extra hands, as well! Check out some photos of the figures in action, then pick them up today and complete your Iron Man 3 collection! 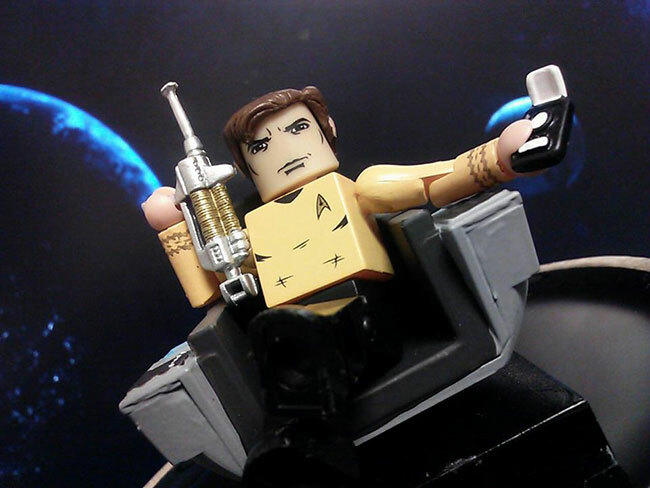 July 2013 - Wednesday is New Toy Day at your local comic shop, and this week, three highly anticipated items will make their way to comic shops and specialty stores from Diamond Select Toys! 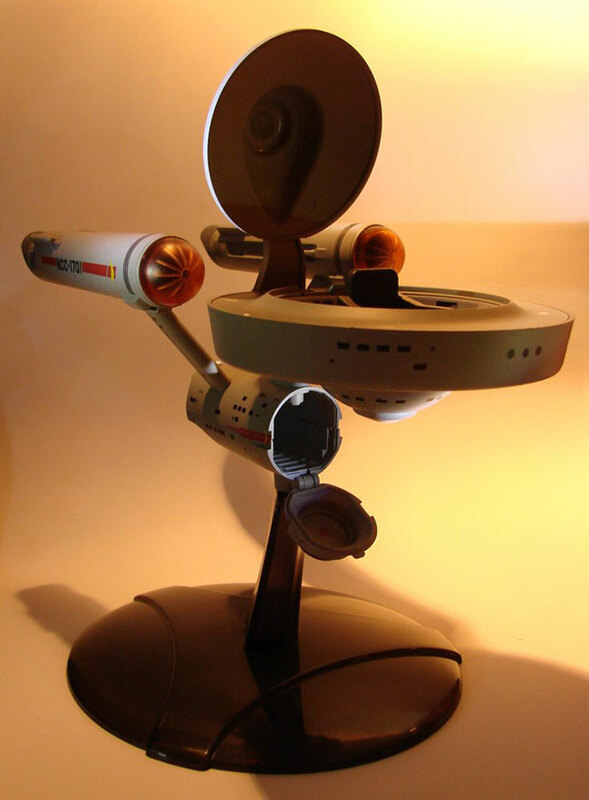 No matter what your interest, there's probably something there for you, because this particular New Toy day brings a figure, a bank and a ship from Iron Man 3, The Walking Dead and Star Trek, respectively! Find your local comic shop at http://comicshoplocator.com! Marvel Select Iron Man 3 Figures are Blasting Into Stores! July 2013 - The long wait is over! The Iron Man Mark 42 armor from Iron Man 3 made its debut last week at comic shops and specialty stores around the world, and fan reaction has been overwhelmingly positive. From the interchangeable parts to the great articulation to the massive armor bay accessory, it's got everything an Iron Man fan could want! And this week, those fans will get the next figure in the line: War Machine! 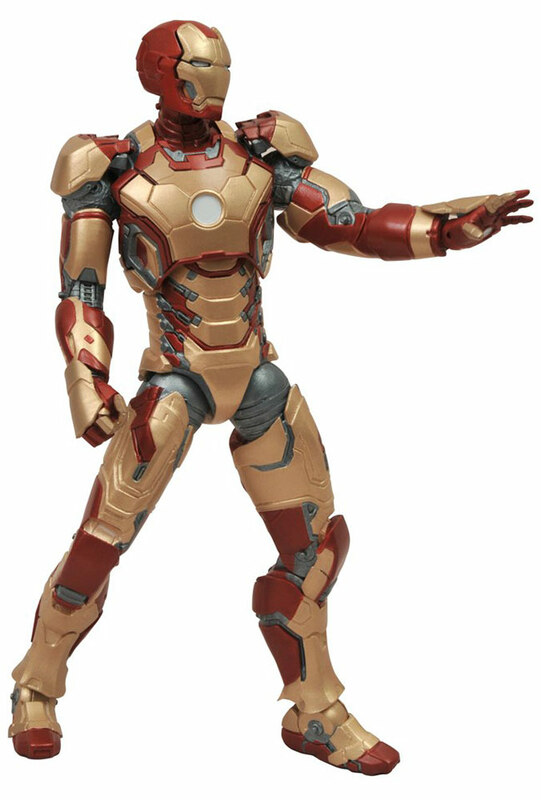 Like the Mark 42, War Machine stands 7 inches tall with 16 points of articulation, and comes with an interchangeable unmasked head and armor bay. However, instead of interchangeable hands, War Machine comes with a fully articulated shoulder cannon. He will be sold exclusively in comic shops and specialty stores starting on July 3, in the distinctive Marvel Select packaging, with side panel art for shelf display. 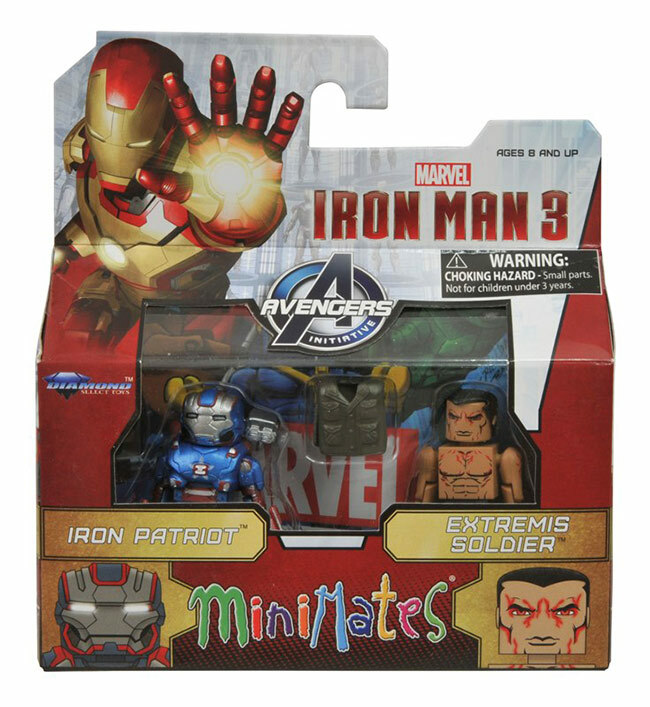 Iron Man 3 Minimates to Hit Stores May 8th! New Product Photos! 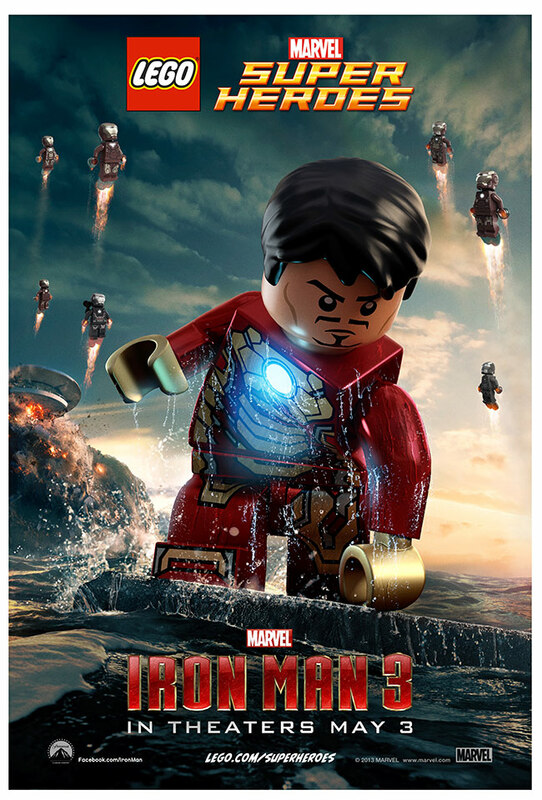 May 2013 - The third Iron Man film is finally here, with a star-studded cast of characters and an array of awesome armors. But where can you find a toy line that will allow you to bring home all of the characters and armors in the movie? The Marvel Minimates line, naturally! And the first assortment hits comic shops May 8th! May 2013 - WizKids/NECA have announced the 2013 Free Comic Book Day figure - Marvel's Iron Man. Coinciding with the much-anticipated Marvel's Iron Man 3, in theaters May 3rd, the physical Iron Man FCBD promo figure will hit shelves of local hobby shops May 4, and will be available while supplies last. More details available at the Free Comic Book Day web site. 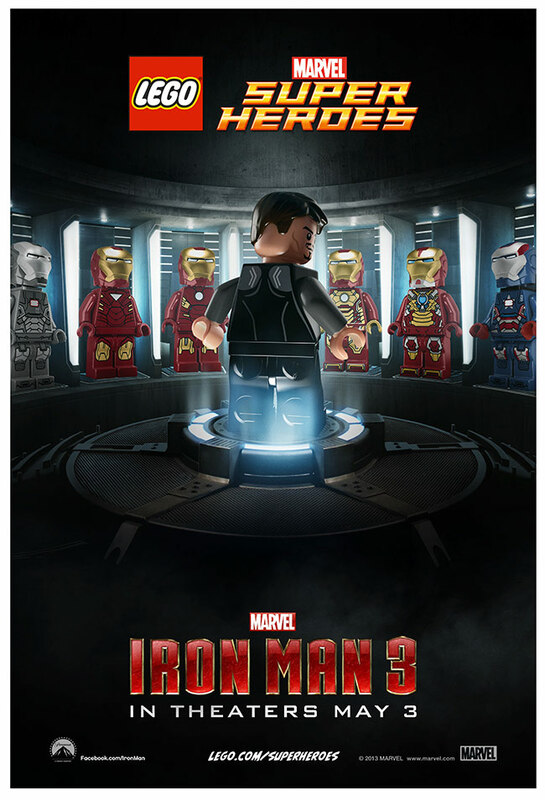 April 2013 - LEGO has released these recreations of the theatrical posters for Iron Man 3. LEGO's Iron Man sets are part of their Marvel Super Heroes product line and are available now. 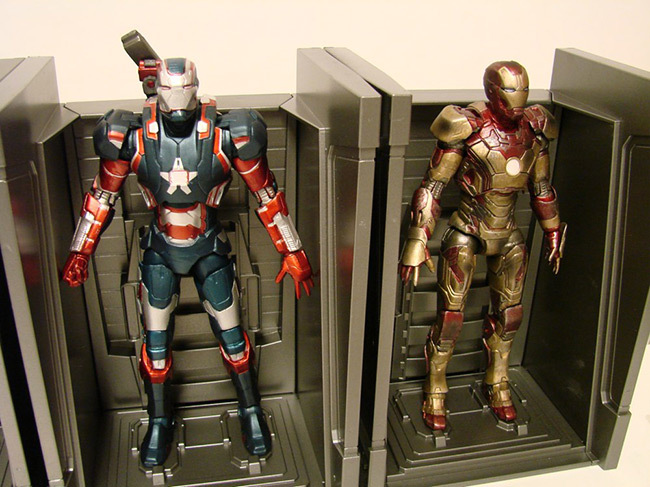 New Photos of Iron Man 3 Marvel Select Figures! 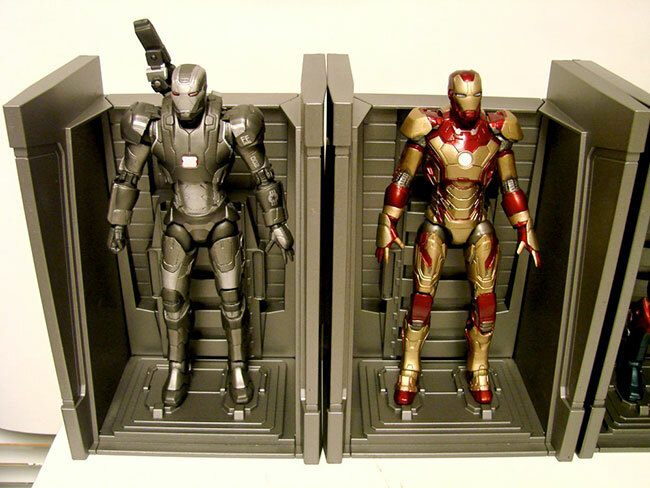 April 2013 - Iron Man 3 is only one month away, and Diamond Select Toys is hard at work on their Marvel Select action figures for the movie! Iron Man Mark 42 and War Machine were designed by Gentle Giant based on digital data from the film, and will stand approximately 7.5" tall with 16 points of articulation. 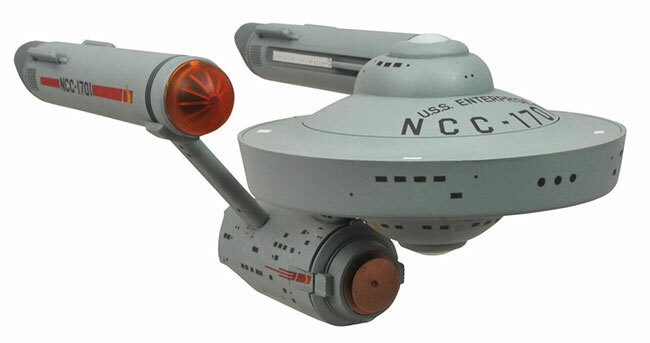 Each will come with an armor bay diorama base, packaged in DST's display-ready Select figure packaging. They'll be exclusively available at comic shops and specialty stores starting this summer, so check out these new photos and pre-order today! And stay tuned for news on the exclusive Iron Patriot figure and a second exclusive figure to be revealed! 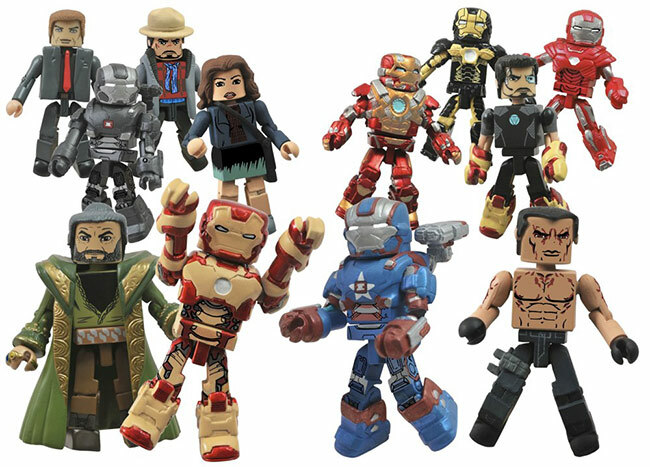 New Armors are Unveiled as the Final 'Iron Man 3' Minimates are Revealed! 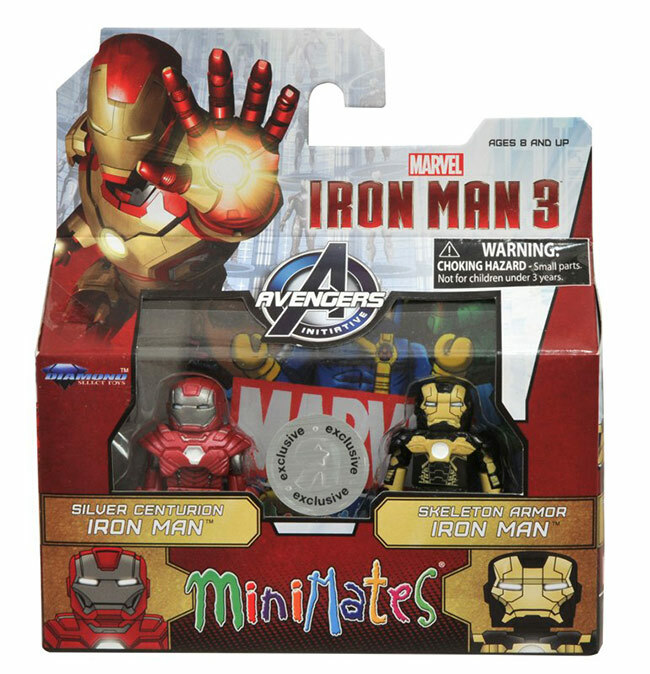 April 2013 - With the movie's release date only a month away, Diamond Select has finally unveiled the remaining three figures from their assortment of "Iron Man 3" Minimates, and all three are new armors from Tony Stark's vast armory! These three figures will be exclusive to Toys "R" Us when they hit stores later this month, and will round out a full assortment that will be shared with comic shops, specialty stores and toysrus.com. April 2013 - Funko has announced an additional POP! 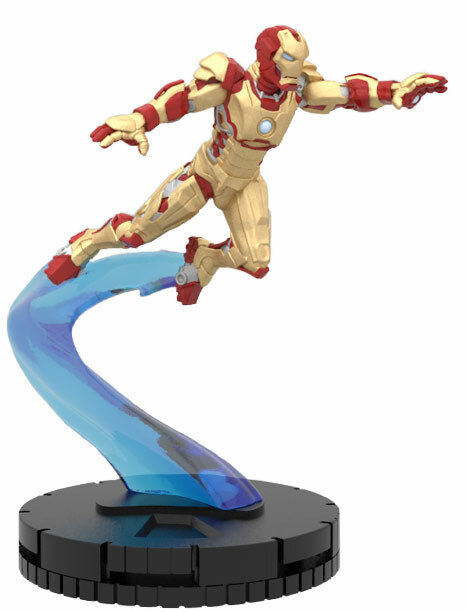 vinyl figure based on the upcoming Iron Man 3 film. 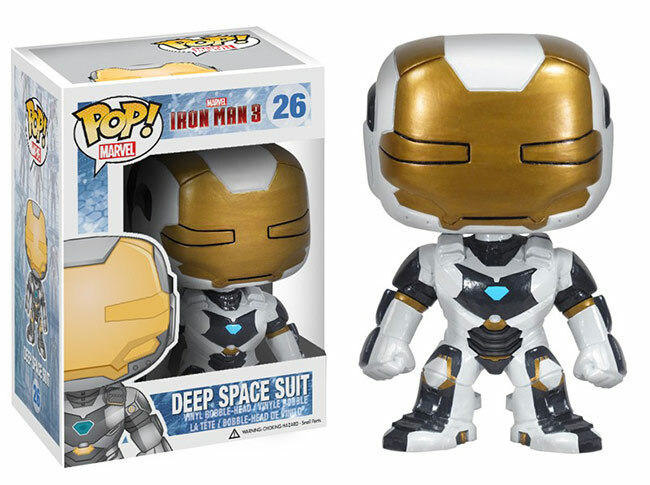 Expect to see Deep Space Suit Iron Man in stores right about now. He joins the previously-released Iron Man (Mark 42), War Machine, and Iron Patriot. 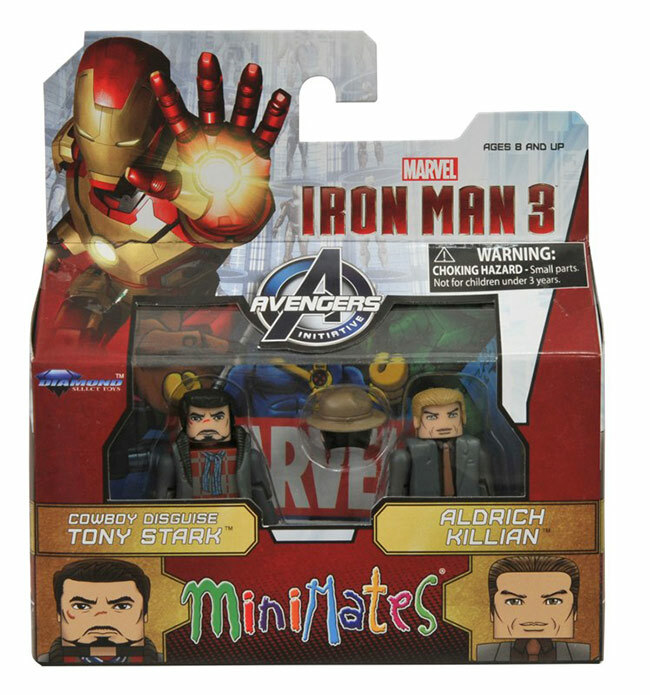 'Iron Man 3' Minimates Get Suited Up in High-Tech Packaging! 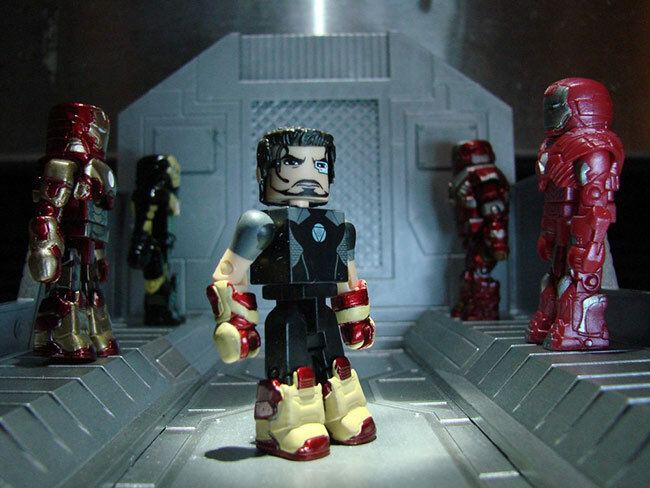 March 2013 - Everyone knows what Tony Stark will be wearing in this summer's Iron Man 3, but what will the Iron Man 3 toys be wearing? 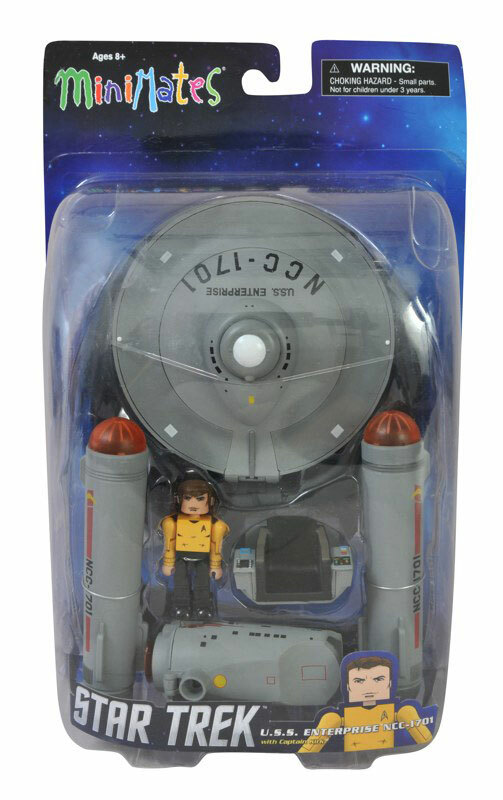 Diamond Select Toys has worked up some nifty new packaging for their assortment of Minimates based on the movie, and while the Toys "R" Us-exclusive figures are still top-secret, we can show you the full specialty assortment in their boxes right now! Check out the pictures below, and pre-order at your nearest comic shop or specialty store today!